Located in the northernmost reaches of Portugal, Porto E Norte is home to history and nature. It's blend of cultural sites and protected reserves makes it the ideal destination for travelers seeking an unforgettable vacation. 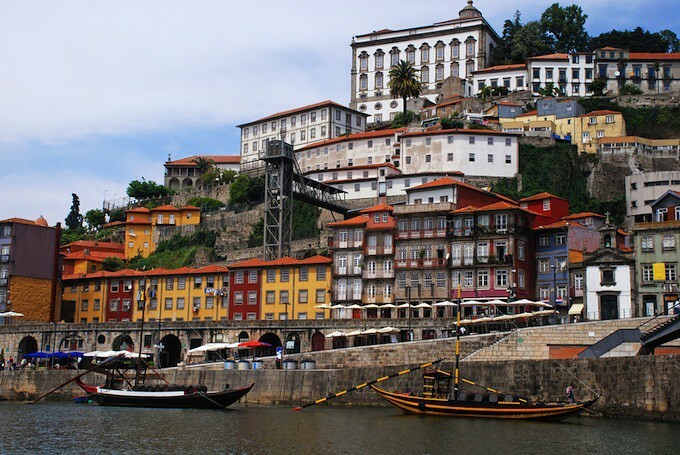 Porto E Norte is breathtakingly beautiful, historically significant, and culturally authentic. Portugal's past is ever-present in modern-day Porto E Norte. The Guimaraes medieval castle is the birthplace of Portugal's first king, Dom Afonso Henriques; its impressive facade stands out amid the city's other equally stunning historic residences. Porto E Norte's fortified churches serve as evidence of a country in turmoil. These churches were built during the Romanesque period, a time of great instability in the region. The Coa Archaeological Park, meanwhile, has the world's largest collection of Paleolithic rock paintings. This World Heritage Site will give all visitors a glimpse into humanity's ancient past. And the history of the earth itself is on display in many of Porto E Norte's buildings. Granite forms much of the bedrock in northern Portugal; in historic times, builders used this durable stone as a building material. Several churches in the area showcase granite slabs as architectural works of art - the finest examples are at the Churches of S. Pedro de Rates and S. Pedro, as well as the Church of S. Salvador de Bravaes. The Serra do Geres protected reserve is popular with families. Teenagers can take to the waters of the Canicada reservoir for swimming and water skiing, while the younger children will enjoy a guided nature walk or a visit to a local village. Serious hikers can head to the village of Pitoes das Junias; the main road ends at the village's boundary, and the continuing trail winds through a countryside dotted with picturesque waterfalls and streams. The Peneda-Geres National Park draws many visitors to its borders with beautiful scenery and abundant wildlife. Several unique species make their home in the park, including wild ponies, golden eagles and the Castro Laboreiro dog breed. Visitors to the park can bike along a former Roman road and hike through valleys and canyons. The more adventurous explorers can follow the route from Mata da Albergaria to Portela do Homem. The challenging path is marked by ‘mariolas', stone piles left by shepherds. The rewards are well worth the effort; the route leads to some of Portugal's greatest natural sights, including thundering waterfalls and scenic lookouts. The Minho region also attracts its fair share of adventure seekers. Climbers can scale the peaks of the region's mountains to see views over the vast countryside. Canoeists and white-water rafters, meanwhile, can paddle down the area's rivers - the Minho, Lima, Cavado, Ave and Tamega - while taking in the scenery. Anglers can try their luck in these rivers, since fish are in abundant supply in the clear waters. But perhaps the region is best known for the Douro River valley. Not only is this vine-lined waterway a scenic masterpiece, it is the birthplace of one of the world's favorite wines - port. A World Heritage Site, the Douro vineyards combine to form one of the oldest demarcated regions in the world; the productive vineyards have been producing port since 1756. Today, visitors to the region can tour the vineyards and sample the vintages. The Gaia wine cellars cater to couples looking for romance amid the vines. From seafood on the coast to sausages and smoked meats in the interior, Porto E Norte is known for its rustic and comforting dishes. Traditional taverns offer informal dining menus ideal for families; the region's modern restaurants, meanwhile, cater to adults seeking an unforgettable night out. The accommodation in Porto E Norte is just as varied as the menu. Tourists can sleep in a campground, youth hostel, or tourist apartment. Many hotels cater to families by offering special activities for the younger guests. But an overnight stay in a Pousada de Portugal is the best way to experience the region. These luxury accommodations are set up in historic castles and monasteries tucked into the picturesque countryside. Yet no matter where he stays, no traveler to the region will stay hidden in his room for long. The cultural and natural sights of Porto E Norte are always beckoning.